20 years international sales / business development management experience in technical software of SaaS, Big Data, e-commernce and Fintech. Previously based in Silicon Valley Erick has helped to launch many successful startups. Specific areas of expertise: building detailed and high impact sales and marketing plans. Training and building exceptional sales teams. Having the ability to find and nurture business development opportunities in undiscovered markets. Sales Sales Sales! Having an instant high impact on sales growth for companies is Erick’s calling card. 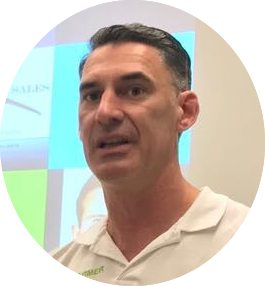 Expert in complete sales cycle of complex Saas and hardware with extensive knowledge of new client marketing campaigns automated around CRM data bases. Scaling as quickly and efficiently as possible is a high focus area for him.